We start our first trek from Aranyawas….its a downhill trek which passes through a good forest cover, if lucky enough we might spot some antelopes & wild boars (hogs) &Black faced monkeys (Langoors) But we are sure to spot a good variety of various bird species. We will also pass through a couple of Villages on the way mainly Magha & Wagadh. 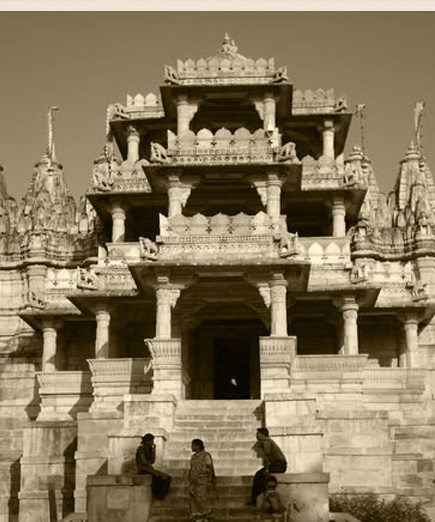 We stop at a carefully chosen location for lunch (packed lunch) …we than continue our trek & end it at The World Famous Ranakpur Jain Temples, A poetry written in white marble, the best carvings on Marble you can find anywhere later. we check-in at The King’s Abode, a beautiful hotel with wonderful food. You can enjoy the rest of the day here by the pool side or pamper yourselves in the relaxing SPA here. Dinner & Overnight at Hotel. 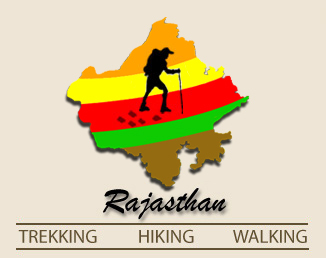 We start our long trek or hike after an early breakfast at about 7 a.m. we will pass through small villages called Rajpura, Joba & Mandigarh. Here if we are lucky enough, we might visit a village school on the way. We continue our walk & finish it at The Muchala Mahavir Jain Temple where we see a lot of black faced Monkeys (The Langoor) loitering around…we than check-in to our Hotel Bagho-Ka-Bagh adjacent to the temple. This hotel was A hunting Lodge of the earstwhile nobles of this area. Lunch at the Hotel. After a little layoff, we take a stroll in the nearby Garasiya Tribal Hamlets( another group of tribals) where we have our evening tea & cookies at a carefully chosen spot. Dinner & Overnight at Hotel. NOTE: STAYING OVERNIGHT HERE IS OPTIONAL ,ONE CAN CHOOSE TO DRIVE DOWN TO ANY ONWARD DESTINATION AFTER THE CONCLUSION OF THE WALK. 2 Nights accommodation in 01 dbl.